BREAKING: VISHWAROOPAM 2 REVIVED FINALLY! Kamal Haasan's long awaited Vishwaroopam 2, is finally seeing a development! Kamal Haasan, a few months ago, posted on his Twitter account that all bigger financial issues are sorted out, and only technical issues were left to be cleared. 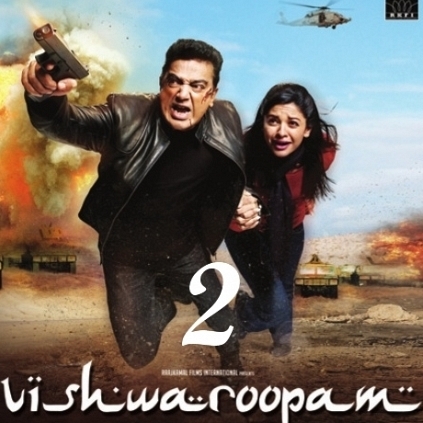 Our close sources inform that the dubbing has started for Vishwaroopam 2 from yesterday and it is going on full swing. When we checked with Rajesh M Selva, the close associate of Kamal Haasan and director of Thoongavanam, he confirmed the news by saying, "Yes, we have revived, and it is not just dubbing, we are working on other departments too. The post-production works are in full swing." This definitely must be a happy news for all the Ulaganayagan fans! Manisha Koirala cast along with Ranbir Kapoor? "Vijay Antony does not mince his words"